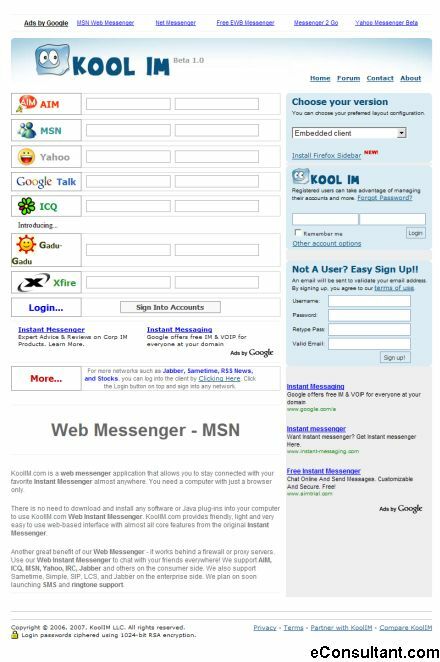 Description : Instant Messaging directly out of the browser using AJAX based technology. Consumers and Business users alive will have the capabilities to hold real-time conversations with friends and co-workers. KoolIM is a generic IM solution, the initial version will support access to 12 IM networks and 4 Content Channels.